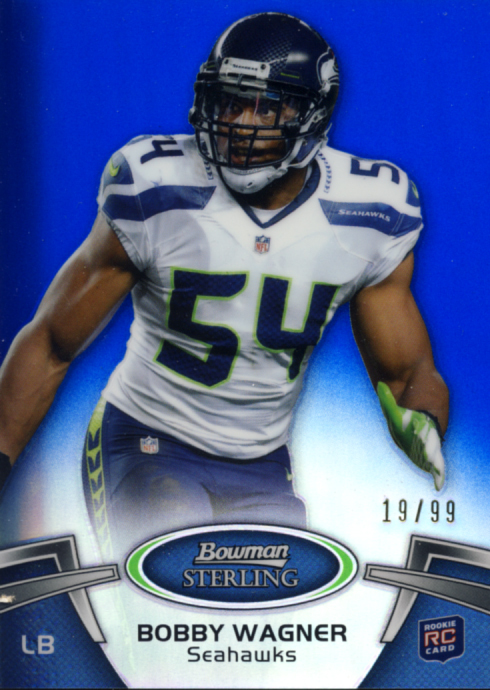 Sterling is the top of the Bowman line, providing the biggest “High Risk, High Reward” offering. 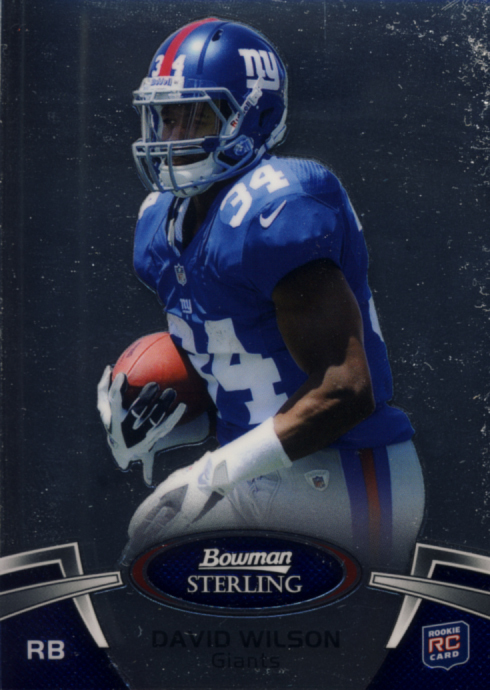 For 2012 Bowman Sterling Football the single most important element that can spread that risk is present, a strong rookie class. 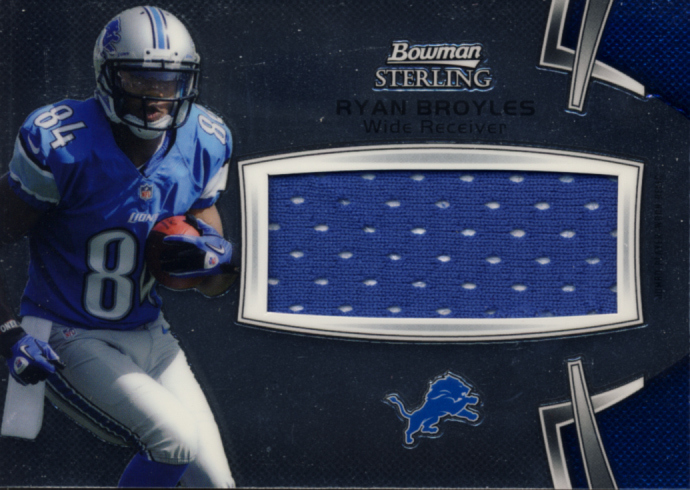 That enables you to miss on the monster hits but still walk away with a decent box of cards. 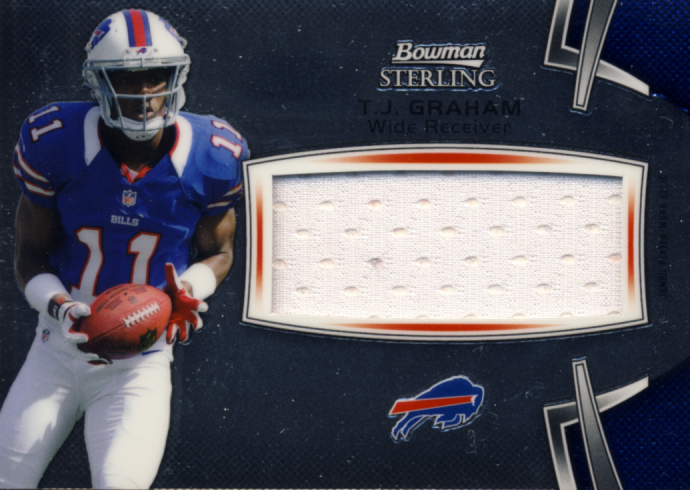 With 12 hits per box plus a Rookie Patch Box Topper card for a total of 13 hits, there is ample opportunity to pull some great cards. 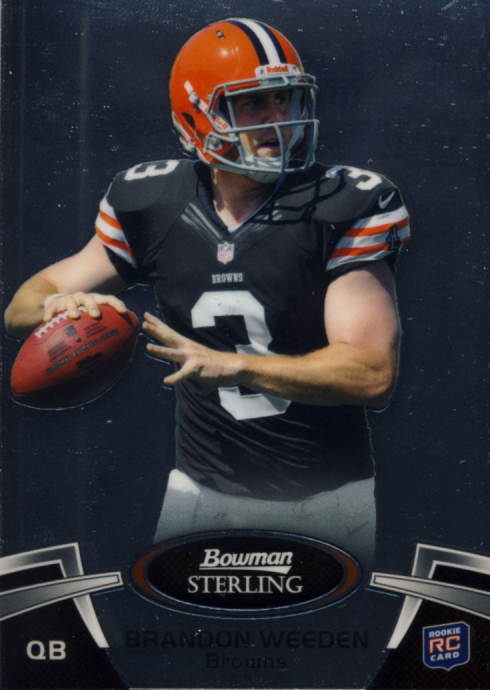 Bowman Sterling Football comes in at the high end of our premium cards category because of the number of hits in each box. 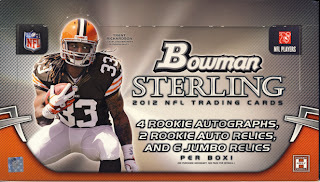 Each hobby box contains 6 packs with 5 cards each and a box topper bonus Rookie Patch card. 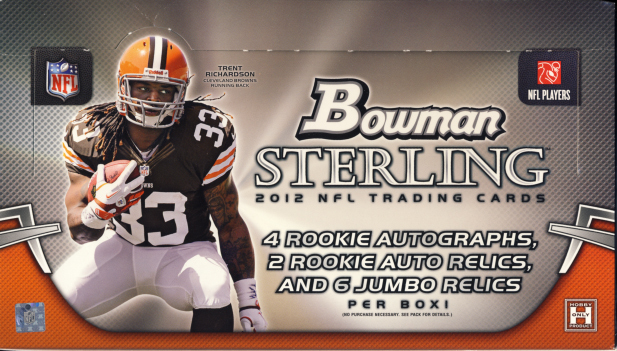 Each pack should yield 3 Rookie Cards, 1 Rookie Autograph and 1 Jumbo Rookie or Veteran Relic Card. 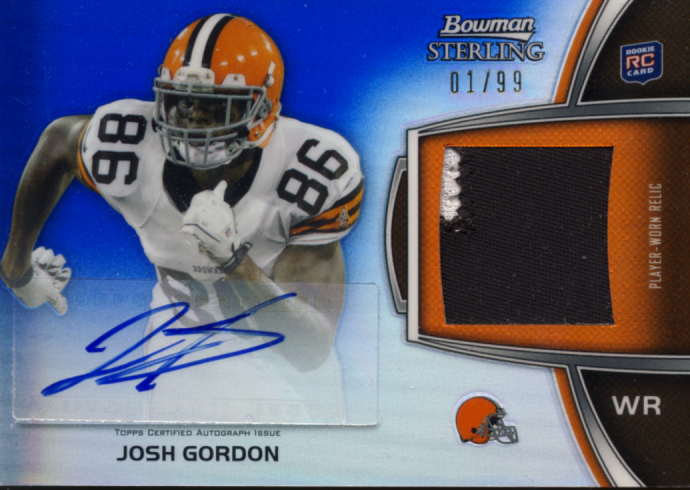 This is solid design along the lines of Premium and Finest. 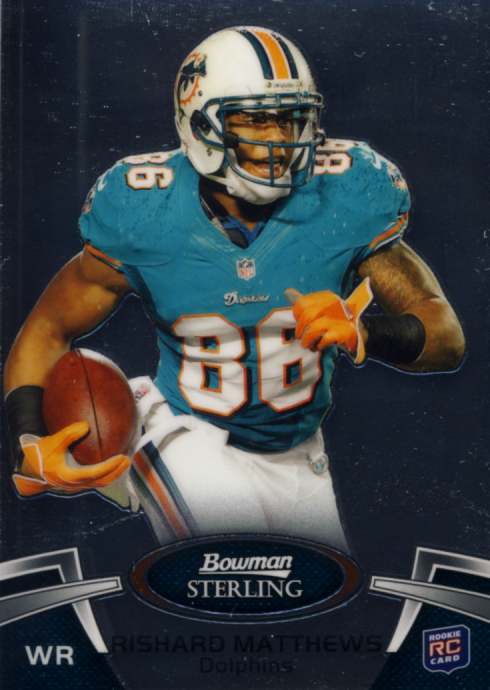 All forms of refractors and color parallels look great. 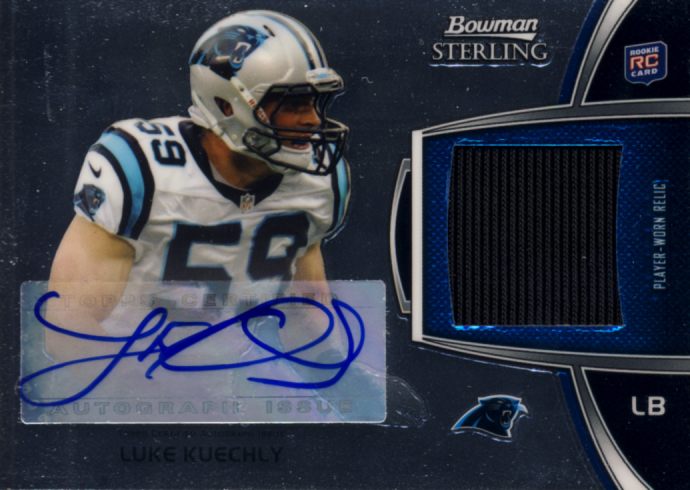 The prism refractors are very cool. 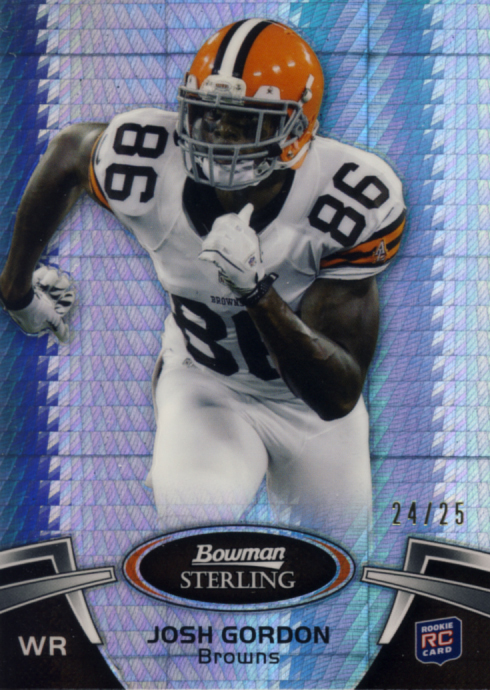 When you think of Bowman you think of rookies and you get exactly what you would expect. 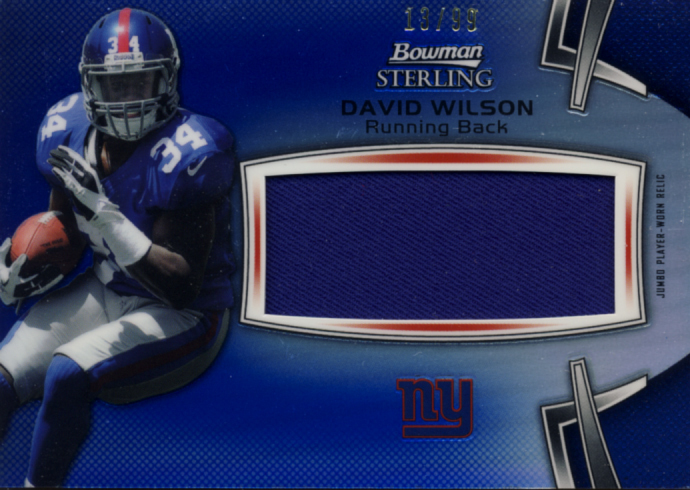 To say this set is rookie centric would be an understatement. 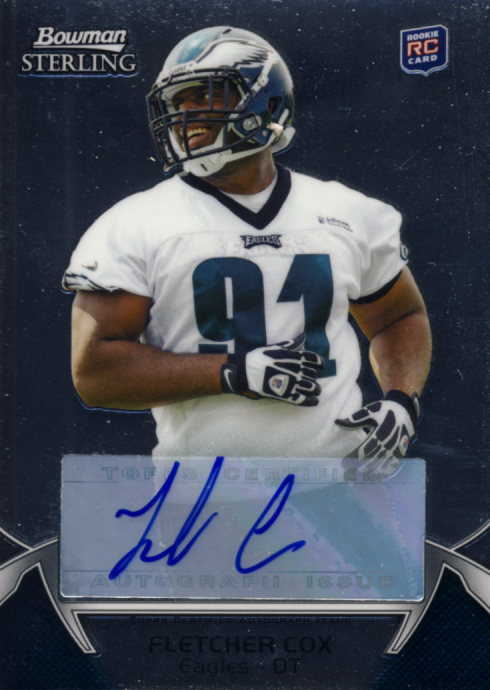 The strength of this year’s rookie class accounts for the quality of the checklist. 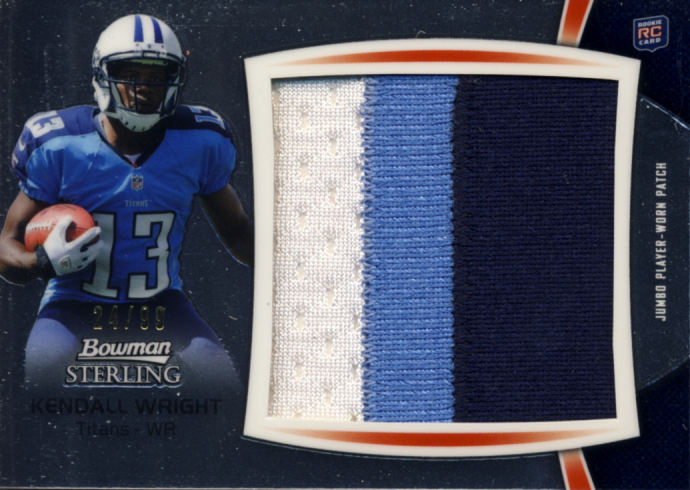 With great design and strong players to pull, these hits will most definitely satisfy. 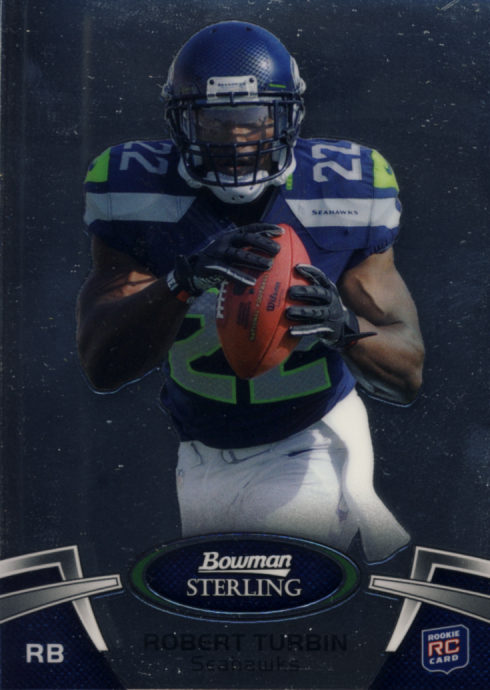 Get lucky by pulling any of the ultra desirable names, low numbered parallels or booklet cards and you’ve got something that will soar to the top of your collection or provide an excellent return on the secondary market..
A lot of high-end hits justify the higher price range for these boxes so if you can afford it, multiple box purchases makes sense. 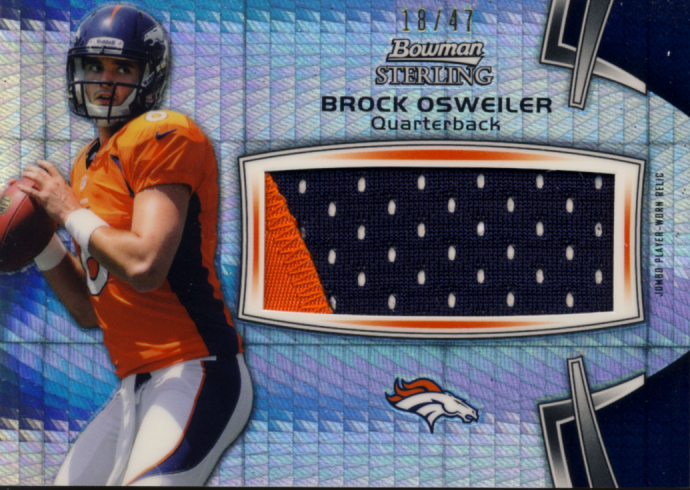 None of this elevates the “High Risk, High Reward” nature of these boxes, but the odds seem to fall within the normal range for this type of product. 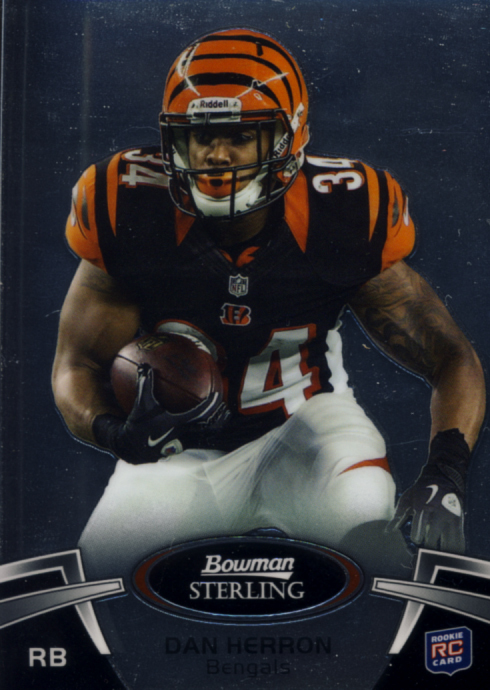 While there will be more people that will roll the dice on a single box, or even individual packs from you local card shop that is willing to break a box, those wanting to spread the risk will get the best chances at a nice return by purchasing Sterling by the case. 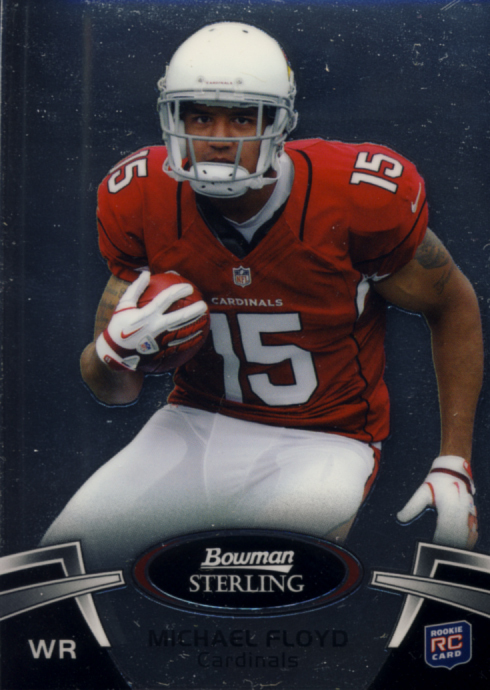 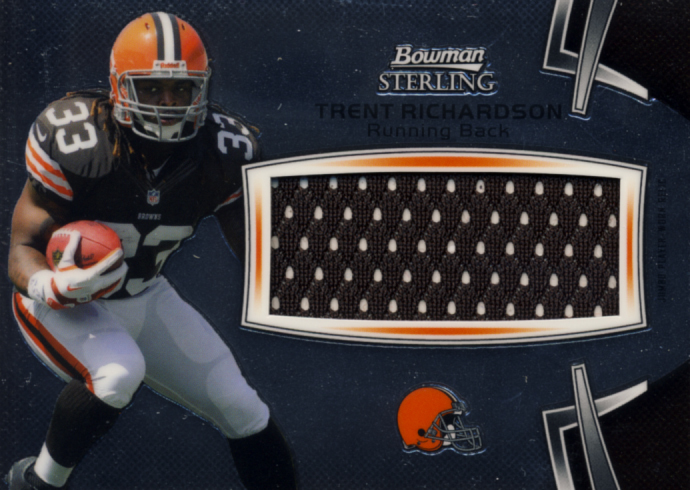 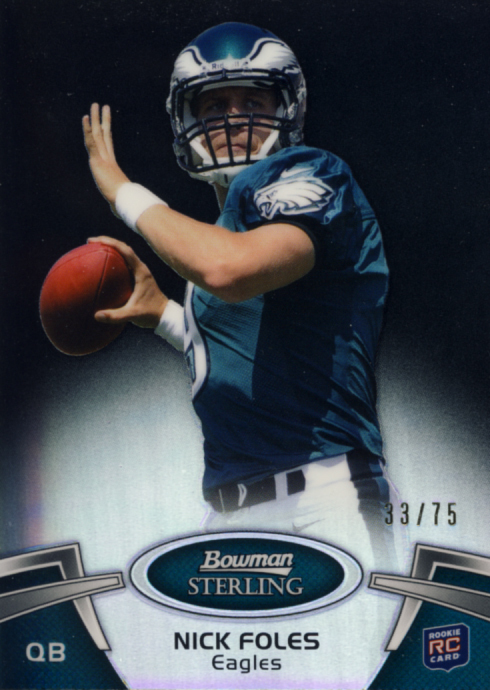 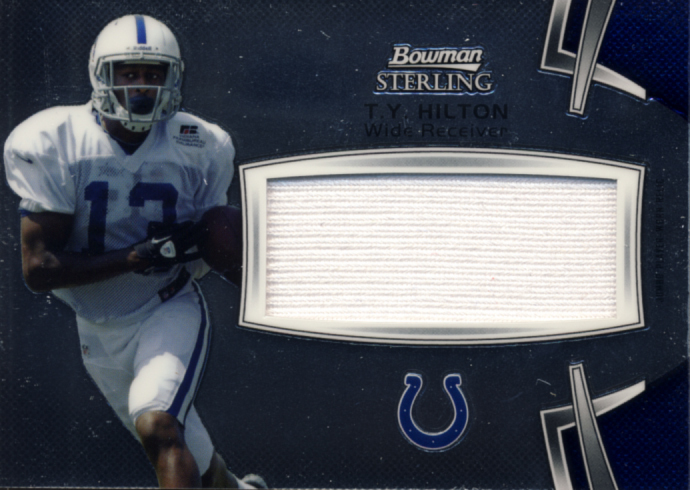 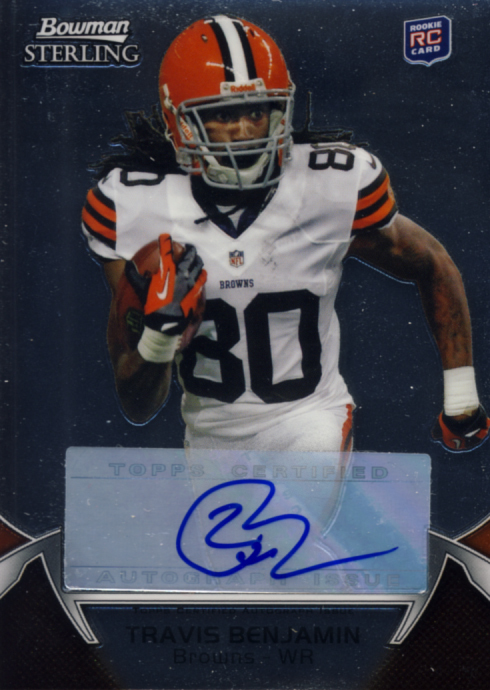 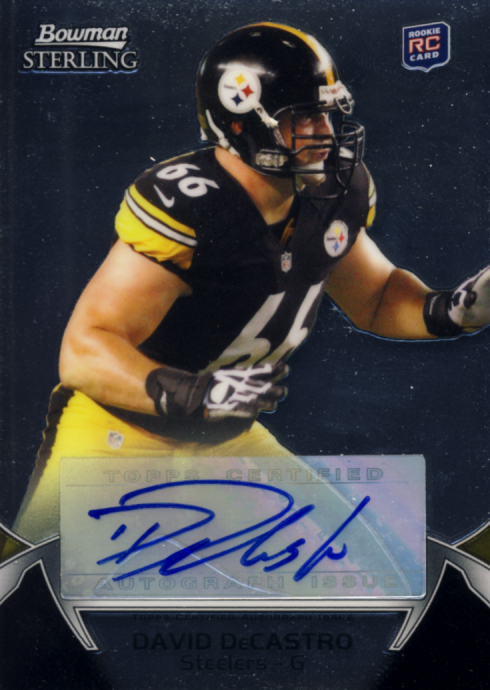 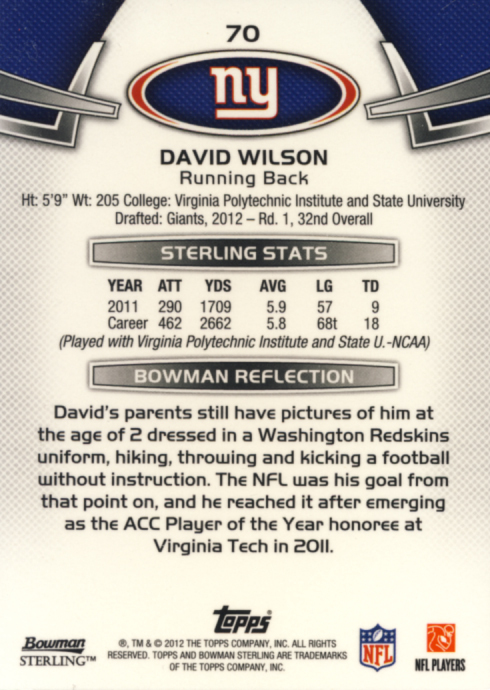 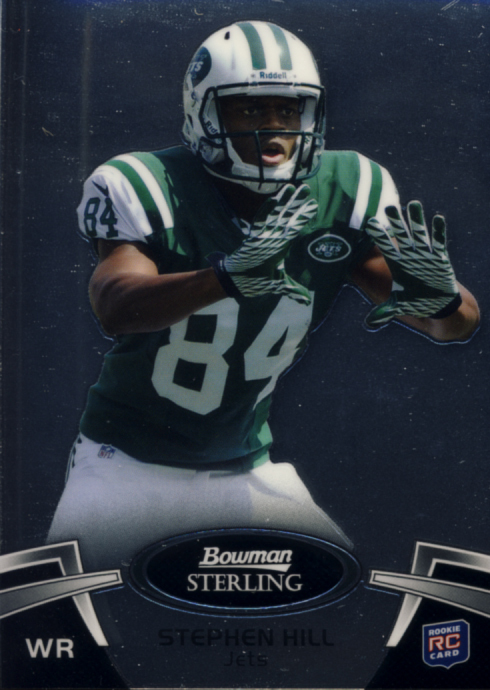 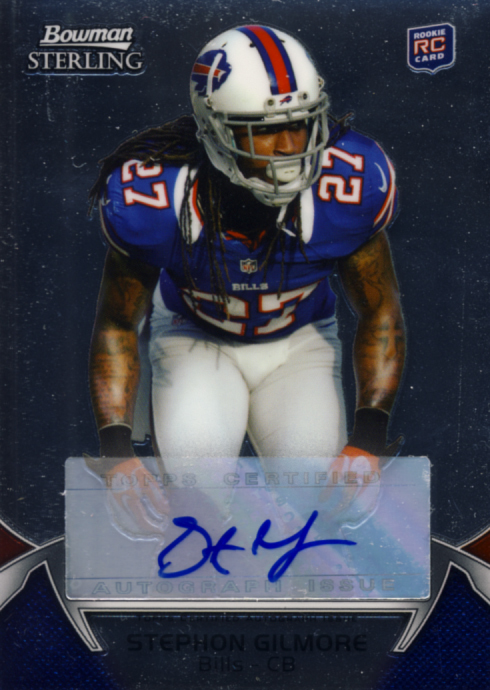 2012 Bowman Sterling Football can provide the big hits for those that are lucky, while providing enough really nice cards for those who don’t hit it big.